A screen recording is a screen recording when an Agent calling a customer and is Intercepted. The screen recording records the primary screen, microphone and sounds. By default the files will be stored locally, but can be configured to be uploaded to this document library. Warning We strongly advise not using recordings in combination with SQL Express, due to database size limitations. Name of the file, created by the Snapper. This is the date the recording is added. This is the account that adds the recording. Enable "Automatic screen recording outgoing"
SharePoint URL = URL of the Anywhere365 SharePoint configuration site. Example: https://SharePointOnlineURL/SubSite/UCCUCC stands for Unified Contact Center and consists of a queue that can be handled by Agents Each Contact Center has its own settings, interactive voice response questions and Agent with specific skills. Agents can be member of, or sign up to, one or more Contact Centers. 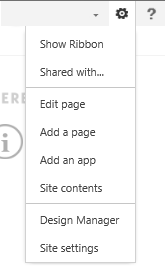 (Optional) Save SharePoint upload URL to UCC database = If enabled adds a record to the database so the file can be linked in the report. Go to the UCC settings page and select 'Site contents'. Insert "/SnapperOutboundRecordings/Forms/AllItems.aspx" in the URL and hit Save.